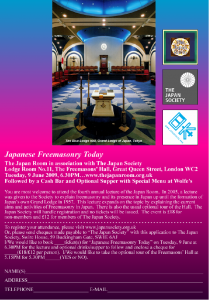 United Grand Lodge of England, 1717-2017. 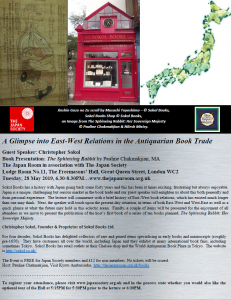 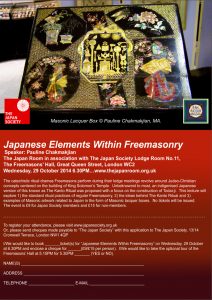 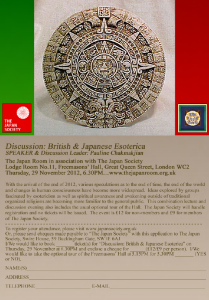 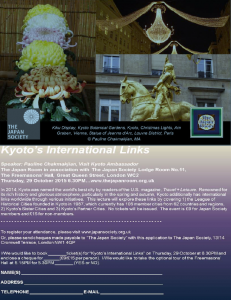 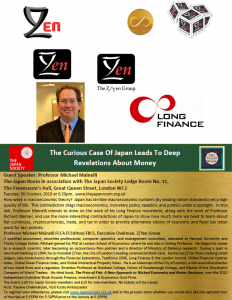 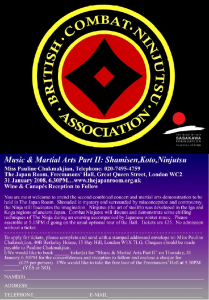 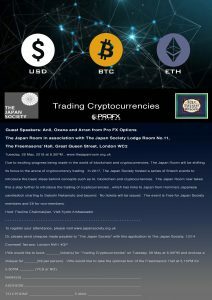 Many Thanks to Asian Art in London for advertising this event. 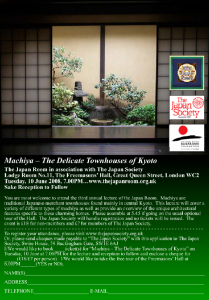 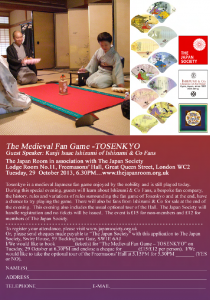 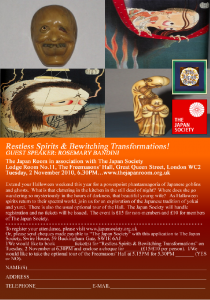 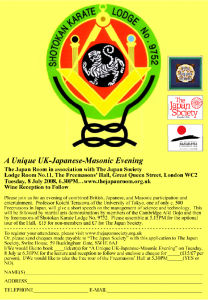 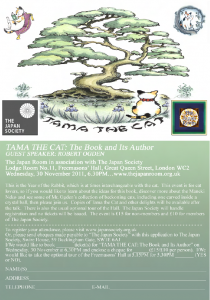 The Japan Room is grateful to Japan Society Small Grants and the Japan-UK 150 Fund for their generous support of this event. 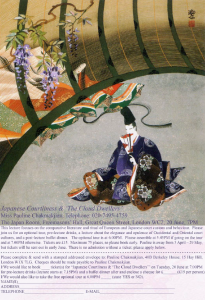 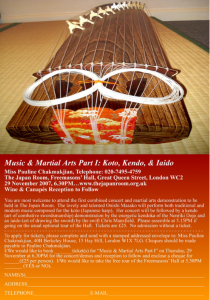 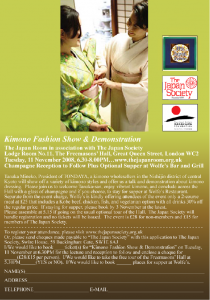 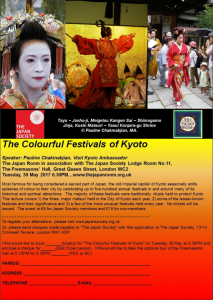 This Kimono Show is an official Japan-UK 150 event. 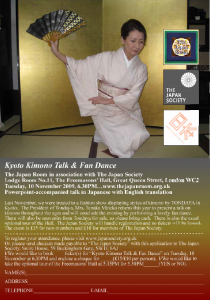 Photo Credit for Flyer: Onishi Masako. In the presence of H.E. 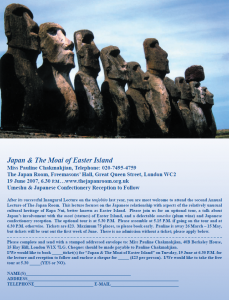 Ambassador Mr. Rafael Moreno and other guests from The Embassy of Chile. 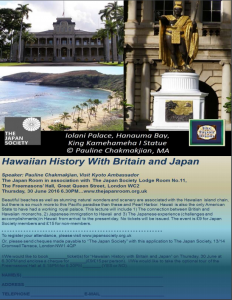 Photo Credit for Flyer: Robert T. Higaki.